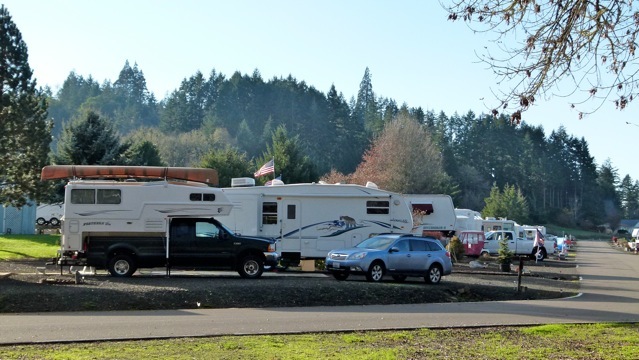 Three full-service RV parks are within a short drive (3-4 miles) of the historic small town of Oakland, Ore., recently featured on the RV Short Stops website. 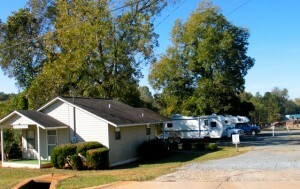 Timber Valley RV Park is an Escapees RV Club members-only facility. The 206-site park is nestled in a valley between tree-covered hills of Douglas fir, cedar, alder and cottonwoods. The nearby Cooper Creek Reservoir is a beautiful destination for fishing and boating year long. Daily and weekly rental rates include water, sewer and electric usage–$19.75/night, $118.50/weekly (pay for 6 days and the 7th is free). Monthly rate is $325/month, plus electricity. 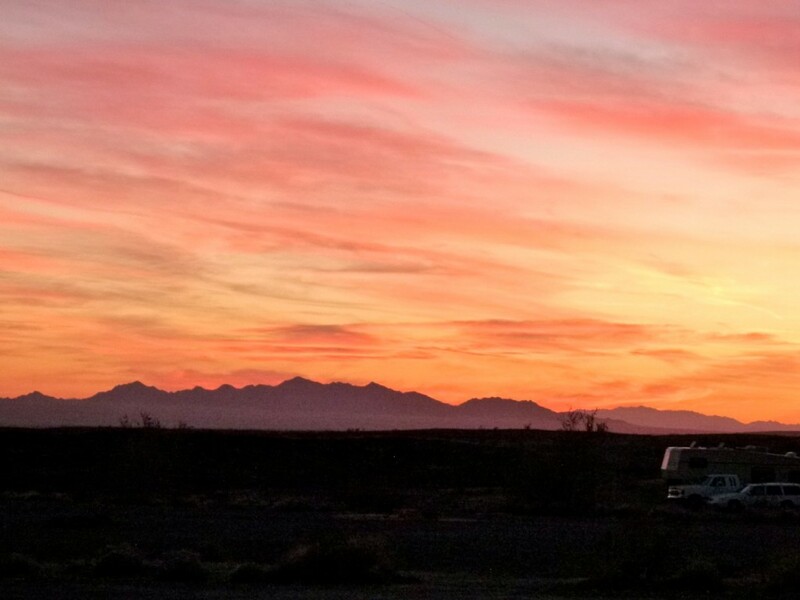 Boondocking: $5/night. 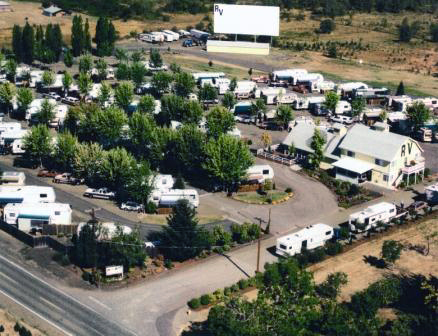 Timber Valley RV Park, 800 State St., Sutherlin, Oregon, 97479 (541) 459-4465. From I-5 take exit 136, drive east on Central Avenue about a mile to State Street (second stop light). Head south about a quarter of a mile and look for a sign that indicates a left turn into the park. The park’s facilities include full hook-ups with 30 and 50 amp electric service. There are 100 sites with easy in and easy out access (83 of which are pull-thrus)–$30.50-32.50/night. To reach Hi-Way Haven RV Park, take exit 136 off I-5, and travel west on Hwy. 138. Turn left on Fort McKay Rd, and look for the signs. Address is 609 Fort McKay Rd., Sutherlin, OR 97479; Phone: (800) 552-5699 or (541) 459-4557. Umpqua Golf Resort – RV Resort, 1919 Recreation Ln. Sutherlin, OR 97479; phone: (541) 459-4422. $27/night. 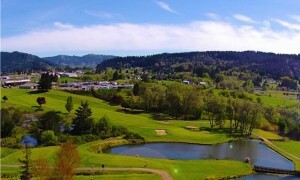 If you are a golfer, consider this public golf course and adjacent RV park which are west of I-5. There are 41 pull through sites on the edge of the golf course on a plateau to the west of town. Beautiful views of the surrounding mountains and Umpqua River valley. Amenities include laundry, restroom and showers, and a deli at the golf pro shop that serves breakfast and lunch. Photos: (Top) A few of the sites at Timber Valley SKP RV Park. By Julianne G. Crane. 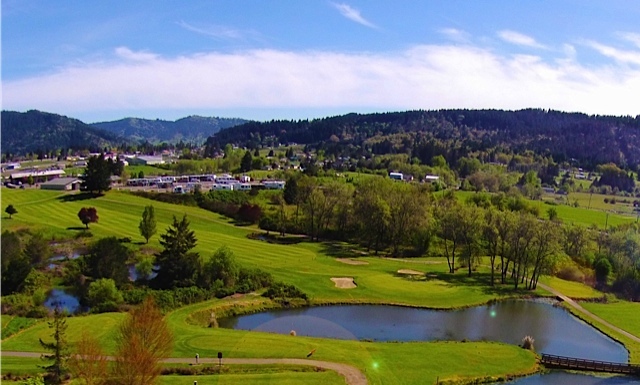 (Middle) Source: Hi-Way Haven RV Park; (Bottom) Source: Umpqua Golf Resort – RV Resort (top left of photo), Click on images to enlarge. VW Camper Van Tent … love it.